In conjunction with “Dementia: Navigating the Long Unknown,” a movie night will be held on Friday, October 6, at 6pm in the Music Room. Please sign up to attend by Thursday, October 5. 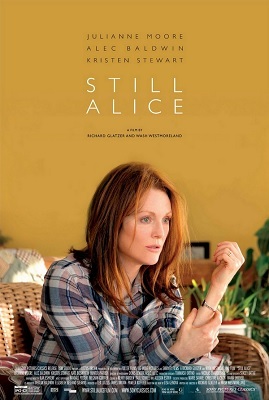 In “Still Alice,” Dr. Alice Howland (Julianne Moore) is a renowned linguistics professor at Columbia University. When words begin to escape her and she starts becoming lost on her daily jogs, Alice must come face-to-face with a devastating diagnosis: early-onset Alzheimer’s disease. As the once-vibrant woman struggles to hang on to her sense of self for as long as possible, Alice’s three grown children must watch helplessly as their mother disappears more and more with each passing day.